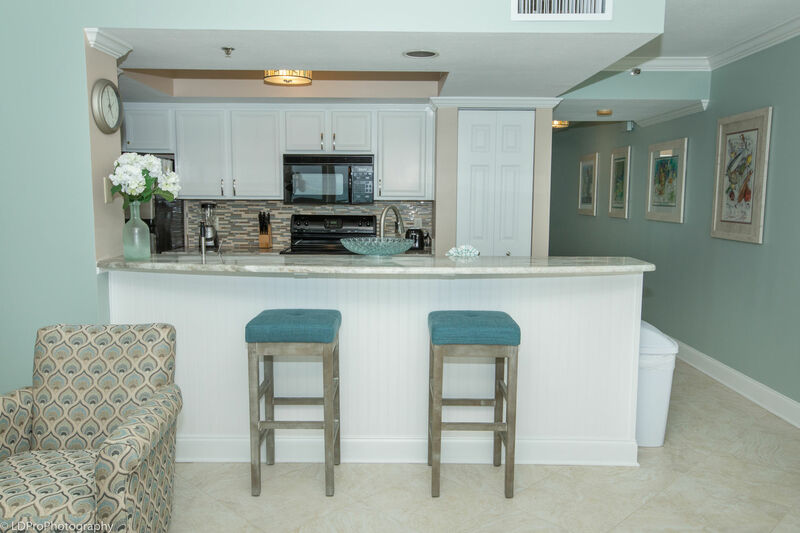 Magnolia House 606 - Holiday Isle Properties, Inc.
Find your vacation destination here at Magnolia House 606. 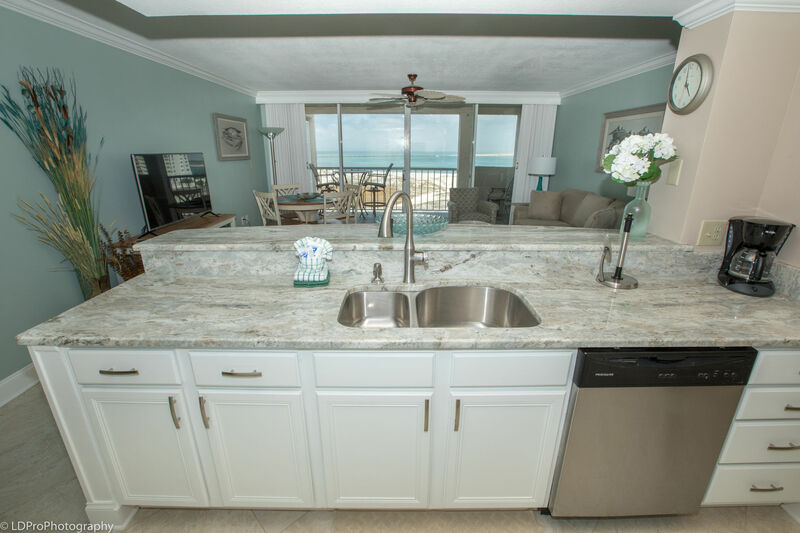 Enjoy this beautiful one bedroom, one bath condo nestled inside the Destin Pointe community. 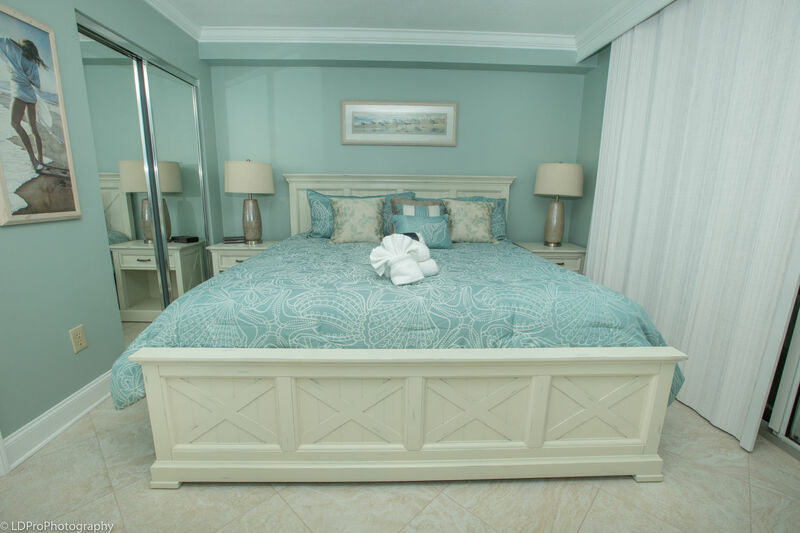 It sleeps 4: A king bed and a queen sleeper sofa in the living room. 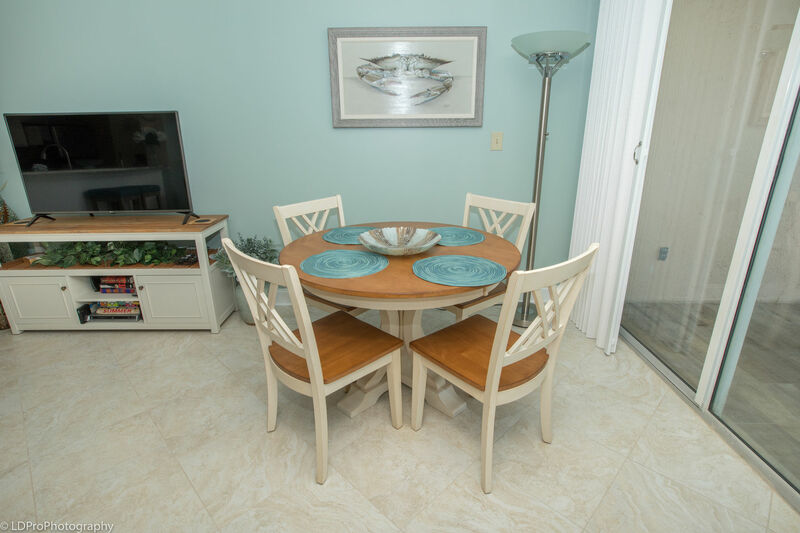 Beautiful tile floors throughout. 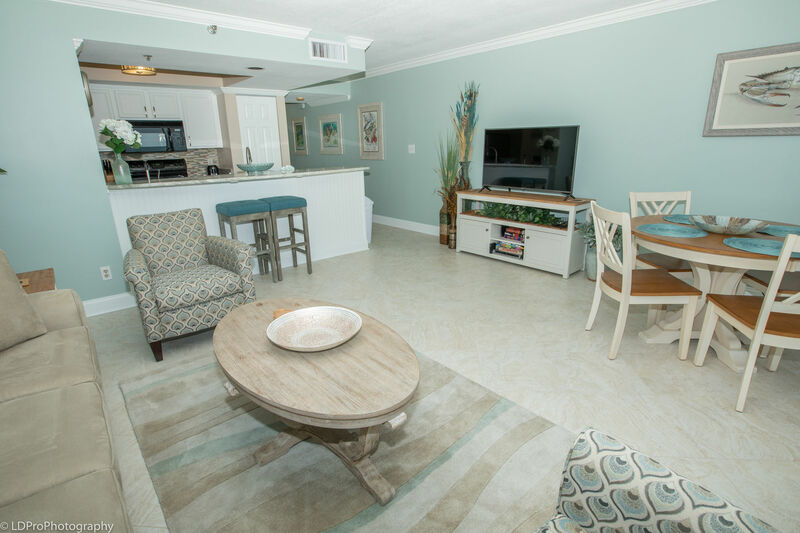 You enter this condo through its shuttered lanai where you can safely store beach necessities. 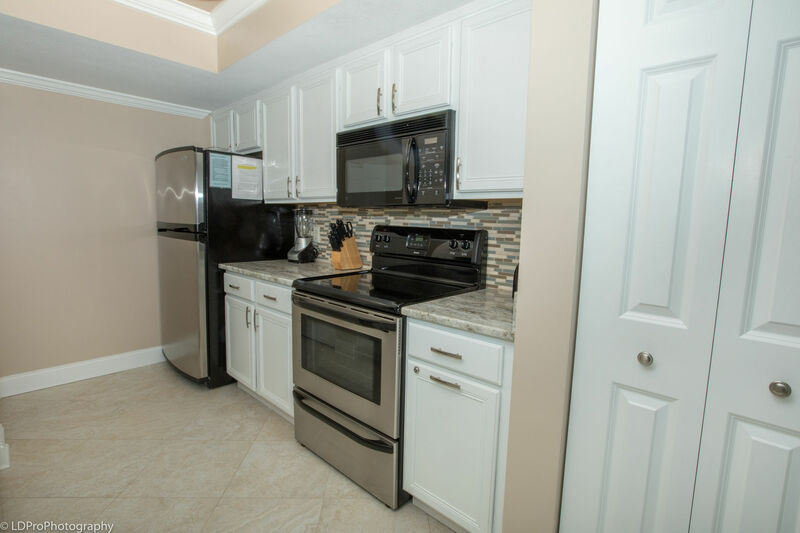 Inside you’ll find a modern granite kitchen equipped with range, microwave, refrigerator, dishwasher, disposal, blender and mixer. All cookware and utensils provided. Washer and dryer are inside the condo. 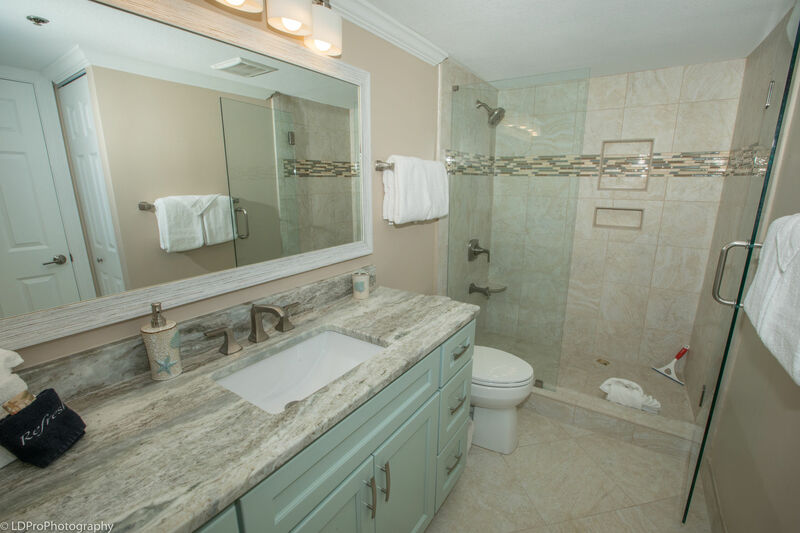 The bath has a large tile shower and spacious granite vanity. 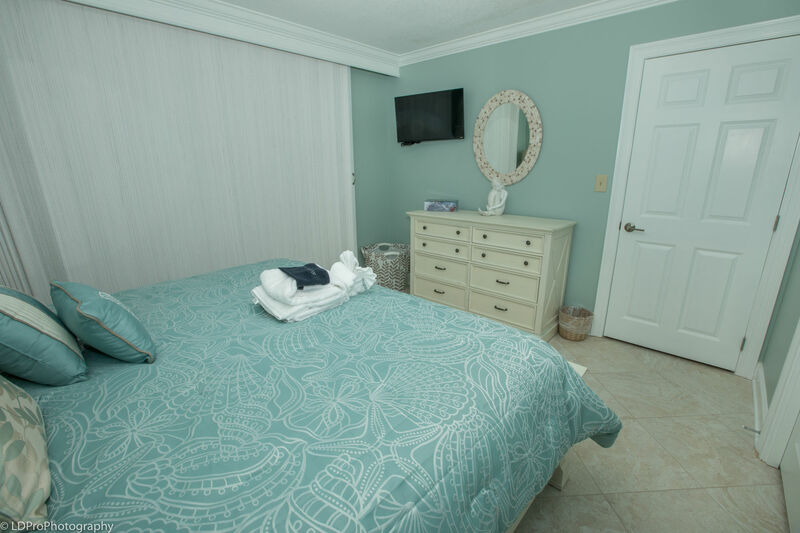 The living room has a 50” 4K TV and DVD player; the bedroom a wall-mounted HDTV. Both provide premium channels including HBO and Disney. Free high-speed internet capable of streaming media included. 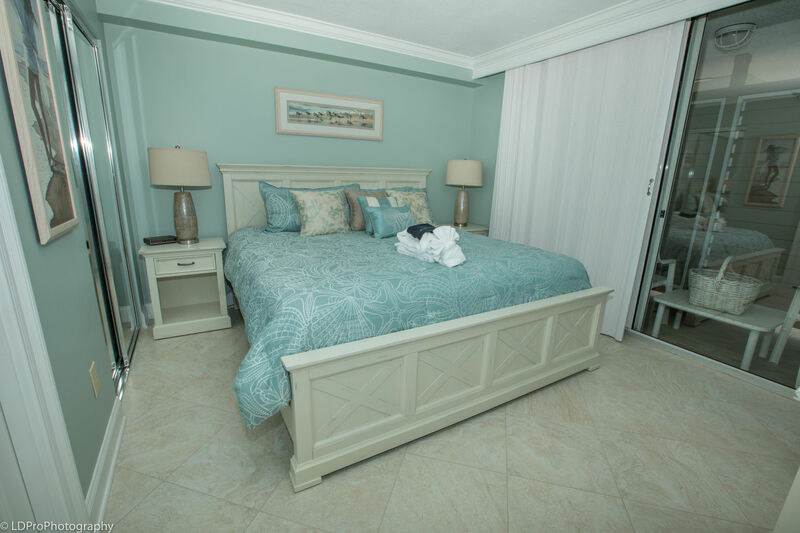 You can walk to one of the two private, heated pools, the closest only steps away from the condo including a spacious hot tub. 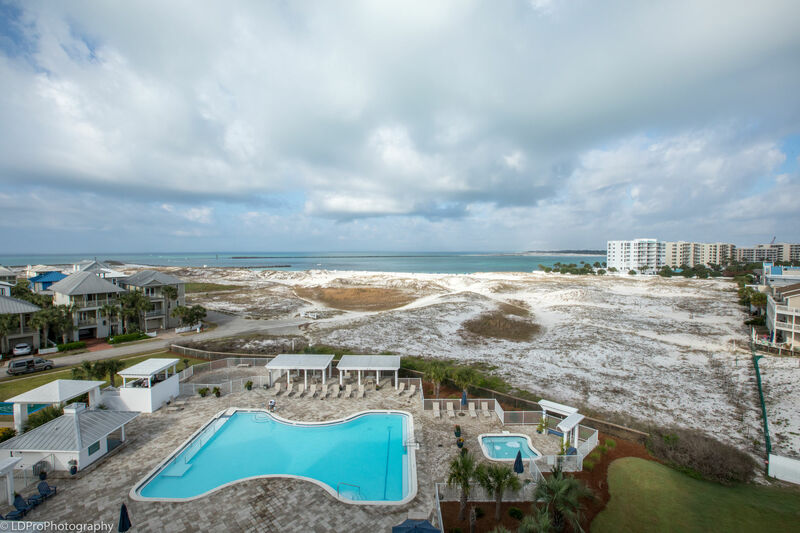 If you prefer the pristine waters of the Gulf and crystal white sands over the pool, the condo is only a short stroll to the beach through Destin Pointe’s private streets and protected wildlife sanctuary. Or, simply relax and let the complimentary tram service (seasonal) come pick up you and your gear and deliver you directly to the Gulf - all with a simple phone call. Your stay includes complimentary beach service consisting of two chairs and umbrella during the peak season. 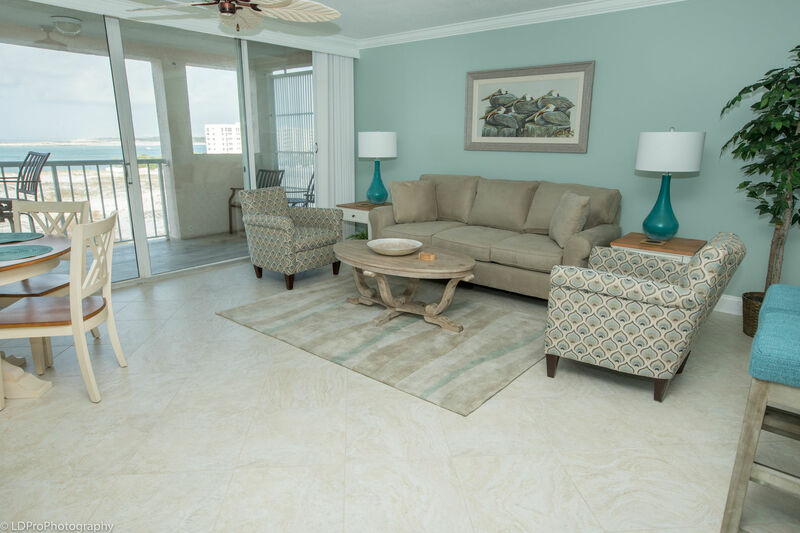 Your private ocean view balcony is this condo’s star attraction. 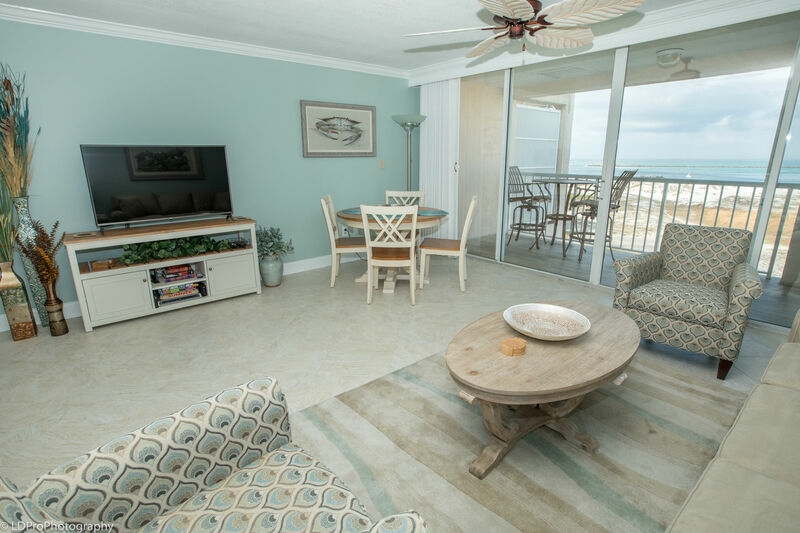 Enjoy Destin’s finest available view of the emerald greens and blues of the Gulf of Mexico, East Pass and the world-famous fishing and entertainment harbor. 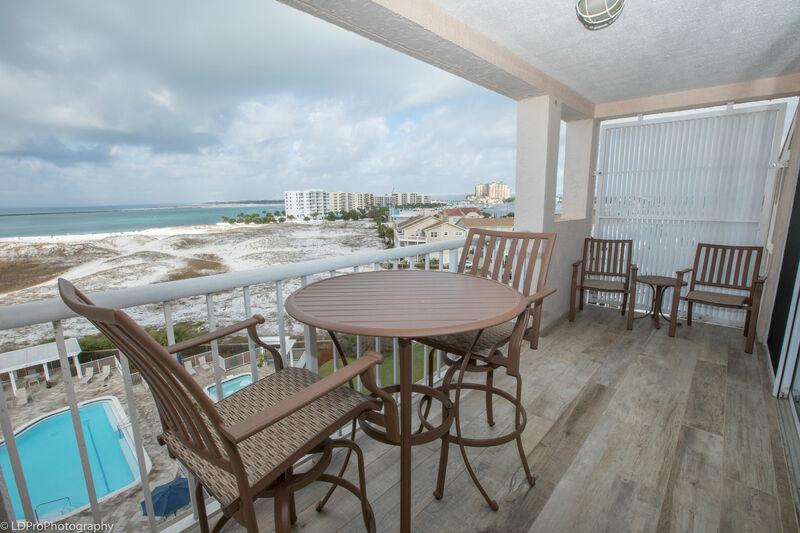 End your day with a breathtaking Destin sunset, perched high above it all from your top floor retreat. 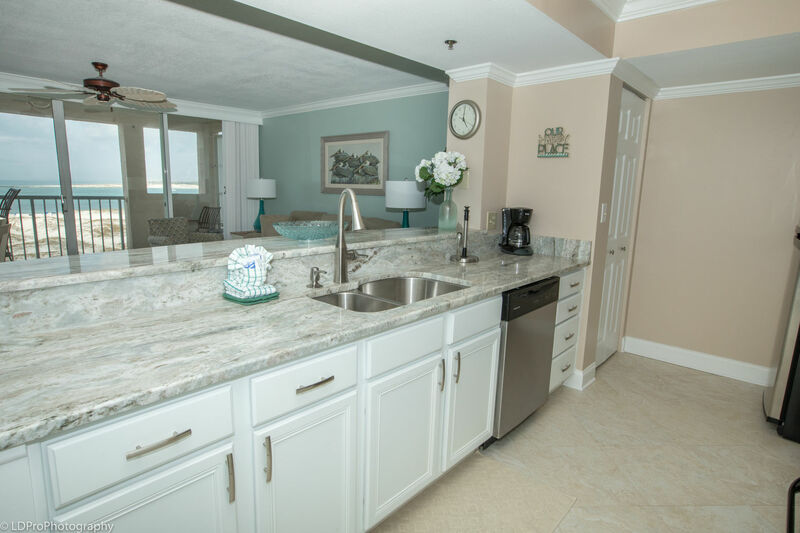 Destin Pointe is a beautiful private gated community with round the clock security, ponds, beach, tennis, basketball and shuffleboard courts, and wide, quiet walking streets. 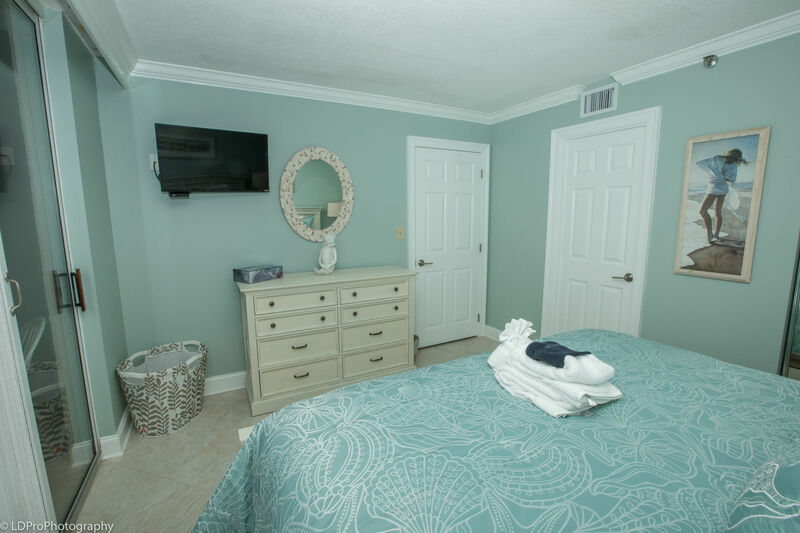 Find out why Destin Pointe is a favorite vacation destination among repeat visitors to Destin; come and discover your home away from home at Magnolia House 606. We had an amazing stay!!! This was our first ever vacation and first time at Magnolia House! The view from our balcony was incredible! 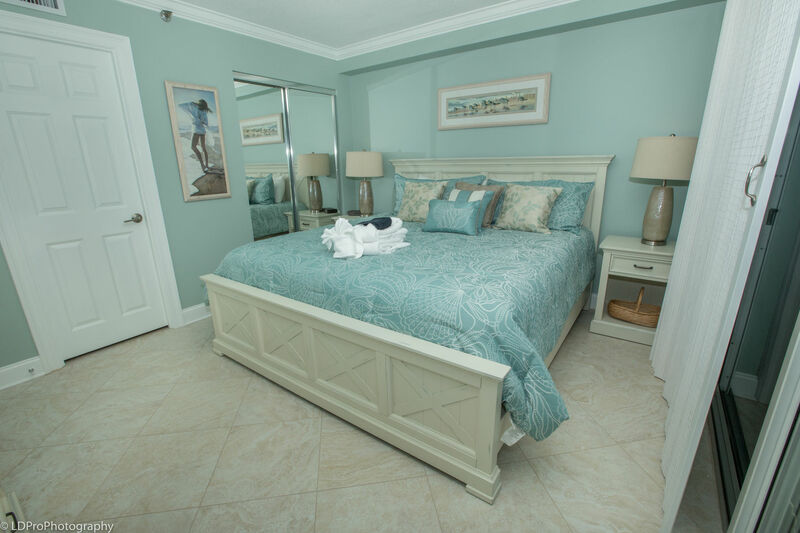 The people and staff were so friendly, our room was clean and had everything we needed! Best first vacation EVER!!! See ya again next year!!!! This is our 3rd year at this condo. We love it more every year. The new swim pool and facilities are great. Hope to be here next year! Great Place!! We really enjoyed our 1st stay at the Magnolia House. The jetty area view was amazing & the Destin Pointe atmosphere is so friendly!!! Our unit had everything we needed & was a delight to make our home for the week....see y'all next Summer!!!! We really enjoyed our stay here! Our unit was very clean and had everything we needed! The view was amazing!! We are planning on comimg back for sure!!! Debra was awesome, a tremendous help!!! The view is stunning! The unit is fairly equipped......just wich cookware was non-stick (for my breakfast eggs).... The furniture was pretty good....may be time to update (coffee table was wobbly). Patio door handle (inside) was broken when we arrived but it was fixed within 48 hrs. (we checked in Sat. and repair guy came Monday). However, before we left, the outside handle broke. Had a little problem with the bathroom drains (tub and sink) but they also were fixed within 48 hrs. 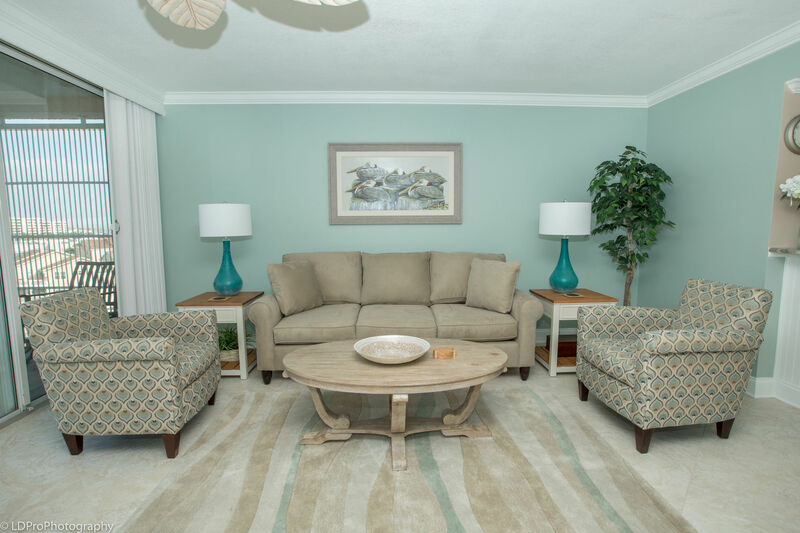 Bed and couch were comfortable, all appliances worked well, the unit was clean and the AC was excellent! The gulf beach was a bit crowded and the water in the bay was quite a bit murkier than I recall but the gulf was still very clear. I didn't care for all the snorkel, kayak tours and personal watercraft in the bay either.....they were very disruptive, loud and intrusive, but I know they have a right too. I'd recommend no a.m. visits but if you go later in the day, they're mostly gone. I just recall our first visit to the Pointe........water was crystal clear and the bottom was visible for a very long way out. But alas, things change. I can be a bit picky and I there are a HUGE number of visitors and these are rented most every summer week.....so, overall, it was a VERY GOOD visit (our third) and look forward to returning as soon as we can. Perhaps in the fall break (Oct.) time, when things aren't so crowded and hectic. Had an excellent time!! Holiday Isle is great to do business with - we rent from them again and even request same unit! !